The Cius Has Arrived, But Why? This post grew out of a conversation I had on Twitter last week with Ed Haletky (@texiwill) and Brent Quick (@brent_quick) on Twitter. Trying to cram everything in 140-character snippets was driving my crazy, so I threatened to turn my ranting into a blog post. And here it is! As always, the opinions and speculation below is mine and has nothing to do with my day job. I don’t have any non-public information about Cisco, and if I did I wouldn’t be able to share it with you. And if I shared it anyway I’d get fired. So I wouldn’t. But I don’t have any, which means everything below is my opinion and speculation. Got it? Everyone clear? I don’t think that it’s a secret that Cisco has dedicated itself to focusing on getting back to it’s core business. One of the first things they did as part of that process was divest themselves of the successful Flip video business, presumably since the device itself wasn’t adding enough to the bottom line of the company. With that in mind, and understanding that I’d imagine that the core business of Cisco would be things that drive bandwidth (and require switch ports), I’m not sure I understand how the newly-announced Cius is supposed to help. First, the hardware itself is underwhelming. There are easily a half dozen android tablets on the market that include better hardware specs. Of course specs aren’t everything, but from a competitive standpoint it’s nice to be in the ballpark. The software on top is equally lackluster. Android 2.2 is old, having been released in May of 2010, and Google has come out and said that the 2.x branch of the OS wasn’t meant for the tablet form-factor. The press release of the Cius mentions that it will be “upgradeable” to 3.0 at some point, but with the hardware specs and the customized software (which we’ll talk about later) I’m skeptical as to how easy this upgrade will be and quickly it will be available. 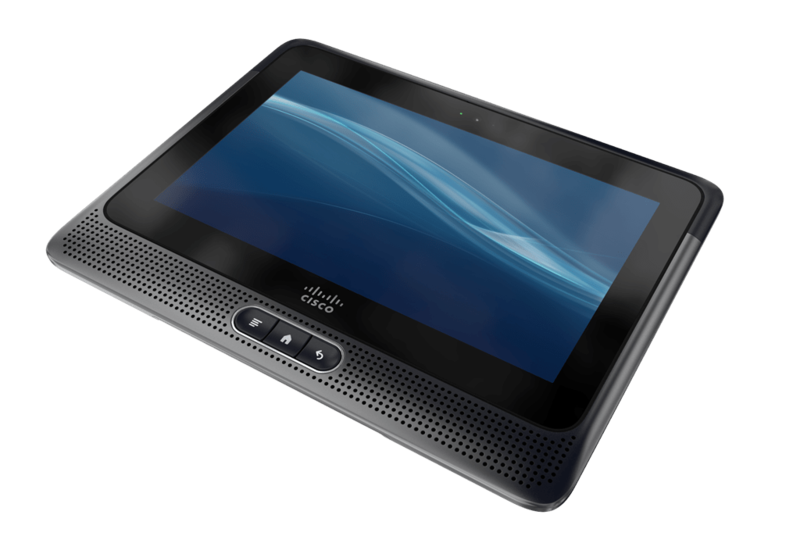 Bigger picture, I’m skeptical at best that Cisco is prepared to be a tablet manufacturer and meet all of the expectations that users have in that arena. Are they prepared to deliver updated hardware on a regular schedule? Do they have sourcing deals prepared so that they can guarantee availability on that schedule? If you look at a company like Motorola or HTC or even Apple you’ll see the insane amount of work that goes into the design, manufacturing and delivery of these products and the pace at which that cycle repeats itself. The Cius is already old hardware, so what’s the refresh schedule look like? Apple sells millions and millions of iPads, and are able to use that cash flow to produce updates on a scary-fast schedule. Can Cisco maintain that pace? Will they make that investment? They’ve done reasonably well with their IP phones, but even there the pace is relatively slow. Right now, who is driving the proliferation of end-user devices in the enterprise? It’s certainly not the IT teams, right? It’s the users themselves, and particularly the executives. In most enterprises the devices are passively supported, meaning that while some guidance may be available for getting things set up (think e-mail client, VDI client, etc…) there’s not going to be a lot of troubleshooting available. Even at VCE, if you have a problem with mail on the iPhone that was issued to you, the troubleshooting process starts with removing the mail account and reconfiguring it. If it works it works, and if it doesn’t we’ll blow it away and start over. Especially for companies that are using some of the more standard back-office apps (Citrix, VMware, Microsoft Exchange, SFDC, etc…) the overall burden is pushed out to the mobile app developers to support THEM, and not the other way around. For custom or internal apps there can definitely be work involved in porting things over to a native app, so it’s not all roses, but the overall support burden compared to the increase in the number of devices seems to be low. Does the arrival of the Cius at your company mean that they won’t support mail on an iPad? Of course not! It’s just going to double the number of devices that need to be managed and add the overhead of managing the AppHQ platform as well. If it were possible to have the Cius be everything to everyone, maybe this kind of arrangement would work, but I just don’t see it happening today with the number of options that are out there. I also don’t envision that Cisco will ever be able to provide a library of apps large enough to be able to keep users from needing another device. In case you haven’t noticed, Apple does everything it can to use the hardware sale to lock consumers into it’s AppStore because there’s so much margin to be made in taking 30% of everything sold in return for providing the AppStore infrastructure and access to the end-users. What’s the upside for Cisco with AppHQ? Are they expecting to drive revenue from third-party applications? Will AppHQ itself be a separate license? Separate support contract? My biggest issue is that I don’t see the reason for the hardware at all at the end of the day. The software licensing has a much larger margin from a business standpoint, it’s the software that drives the traffic which drives the back-end networking and it’s just Android! Why wouldn’t Cisco put the software in the Google Android Market, let end-users download drive the demand for it into the enterprise? I can already use a WebEx client on any device known to man, I can already install most of the apps onto a Windows-based PC, why wouldn’t they let me do the same on my Android device. Since WebEx is available for i-devices as well, why wouldn’t you let the rest run on Apple devices as well? Why wouldn’t you leverage the huge install bases out there already rather than trying to recreate the wheel? Even if you wanted to create the AppHQ market with the software that can be used to manage app installations, you could do that without having to produce a line of tablets. Why would you artificially limit the audience for your high-margin software by requiring a $1000+ , low margin device in order to run it? Maybe I’m missing something big. I’ve talked to a couple friends at Cisco and they all shrug when asked about the platform. What do you think? Is this something Cisco can pull off, or is this destined to end up in the same bucket as the Flip? Is this going to drive their core business and sell more switches? Comments below would be nice, or hit me up on Twitter (@jdooley_clt) and let me know what you think.